It is NOT a bug. But Irritating. Can I call this a bug? 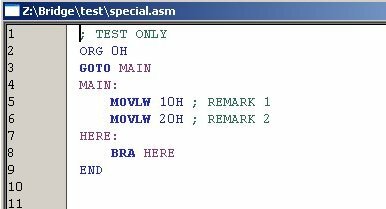 I try to compile a simple assembly code with MPLAB. The compiler shows no error but I found one of the instruction missing in the ROM. After some checking, Danny found that it is due to a “special code” lays behind a comment which make the subsequent instruction a comment as well. Please refer to the picture for a better understanding. I can’t blame Microchip as it may be because I am running Windows as a guest inside my Linux’s VirtualBox. A simlple source code. Note that I have MOVLW 0x20 here. 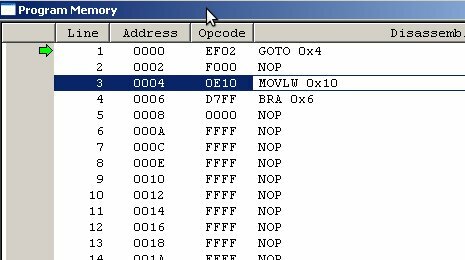 However, MOVLW 0x20 is missing in the program memory? 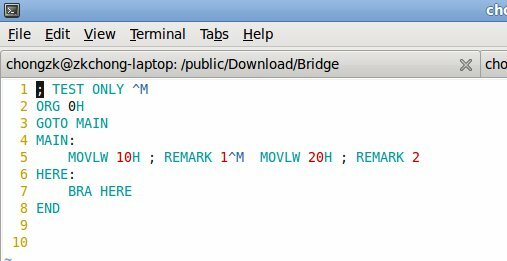 I try to open the file with VI in Linux and found that line 6 was behind line 5, acting as a comment. MPLAB showed me a different source code! It was due to the error formation of the ASCII code. The ending of REMARK 1 suppose to be 0x0D 0x0A but it shows 0x0D 0x09.